Whether you are already familiar with the effects pedals or you are just starting to consider owning one, you are in the right place my friend. These little devices are getting more and more ubiquitous, occupying the pedalboards of many musicians. They can transform your sound completely and add uniqueness to your performance. They even allow you to recreate the beloved songs of your favorite artists in little to no time. Once you plug in your first effects pedal, there is no going back. Due to this reason, it is hard to say no to the new types that are developed almost every day. Consequently, you end up with a bunch of effects that are hard to organize properly. But don’t you worry, I am here to help. 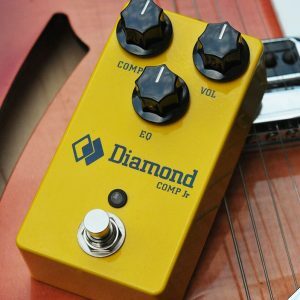 If you own at least 4 pedals and you have no idea how to chain them, keep on reading, because this article will give you all the information needed. Filters: these include equalizers, compressors and wahs. Drives and Gain-driven Pedals: this group consists of not only distortions, overdrives and fuzzes, but also boosters. Modulation: this includes choruses, flangers and phasers. Time-related Effects: all your delays, reverbs and echoes fall right into this category. Some of these effects might belong to more than one group, however, it will be easier to understand what I am talking about if we neglect that fact for now. As far as this article goes, this rudimentary knowledge of effects groups will be more than enough. Now that you know what is what, we can move on to discussing the basics of chaining your pedals. When it comes to organizing your pedalboard, nothing is set in stone. There are no clear-cut rules that will dictate how things should be. There are experiences of various professionals, amateurs and musicians in general, that help us understand how everything works. The key here is to experiment and scrutinize your tone to its core. You should always try out different orders of pedals and come up with something that is tailored to your music. On that note, there is one golden rule: drives and gain-driven pedals go first in the chain, then come the filters which are followed with modulation, leaving the time-based effects for last. There are a number of variations to this order, however, this is something that always works. Depending on what you are going for, you might want to swap places between distortions and filters. One way or another, you have to know how your sound will be altered with each setup. Let’s discuss each group in depth and figure out together, why the order makes so much difference. Who does not love distortion, am I right? It does not matter what genre you are playing – a simple drive pedal can alter your sound significantly. It can fuzz the hell out of your sound or just add a little gain and definition to your signal. This means that any sort of distortion will be your best friend no matter what. Once you grab the pedal of this ilk, your first instinct will be to throw it right in the beginning of your chain. And you will not be wrong. There are many reasons why this is a great idea, the most important one being the fact that you get the best results when you distort the pristine signal. 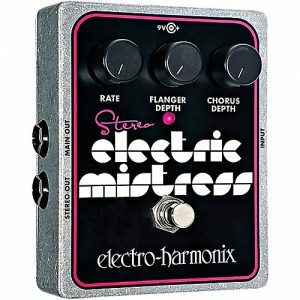 This adds gain, girth and thickness to your tone, which will make other pedals sound better as well. Plus, distortion will substantially strengthen your initial signal, meaning that it will not get lost while travelling through the chain. When it comes to gain-driven pedals (such as boost), same rules apply. However, if you have both distortion and boost, it is always better to place the latter before the former. A boost pedal will add more gain and strength to your signal, which will make your distortion even more powerful. A distortion will transform your sound in a unique way and allow you to explore ethereal levels of sonic possibilities. Knowing how to place it in a signal chain is the key to understanding the pedal itself. Take into consideration the above-mentioned suggestions and experiment as much as you can. There is nothing sweeter than the taste of the perfect sound! In order to figure out the right place for these three, it is crucially important to comprehend that compressors and EQs are not exactly audio effects. They are more of tone shaping devices rather than sound-altering ones. This small detail is significant because it will pretty much define where you put these pedals in your chain. Compressors tend to balance out any uneven frequencies in your signal. For this reason, many musicians prefer to put them after their distortions. This way the affected sound will be more scrumptious. However, it is also feasible to place them either at the end of the chain or right in the beginning. The former will even out your sound as a whole, while the latter will clean up the tone before it gets layered with effects. It depends on your preferences and the results you want to achieve. The same goes with the EQs. They can shape your tone to perfection, accentuate your lower or higher frequencies and balance out anything you do not like. Typically, they are put right in front of the chain in order to maintain the pristine nature of your original sound. However, placing them right after your drives will allow you to control the character of the effect more precisely. When it comes to wahs, there are no straight-forward rules either. They can be in the beginning of your chain and affect the initial signal. This will give you the most clear-sounding effect. They can also go after drives. The latter will thicken up the wah, make it more dimensional and accentuate the sweeps in your sound. I would recommend the second approach, if you want your tone to be more defined and steeped with character. Modulations are no simple effects. Chorus, flange and phaser have their own character, which means they alter your sound substantially. You should be especially careful if you are a heavy user and rely on this type of effects. With that being said, it is better to place modulations somewhere in the middle of your chain. If you place them before drives, I am pretty sure you will not like the end result. The distortion of chorus, flange or phase shifting sounds pretty intense (and not in a good way). On the contrary, after distortion modulations gain more character and become richer. If you are planning on utilizing all three effects, the best way of arrangement would be to put them from the subtlest to the heaviest. This will intensify the effect gradually and make sure that your tone does not get deprived of its nature. 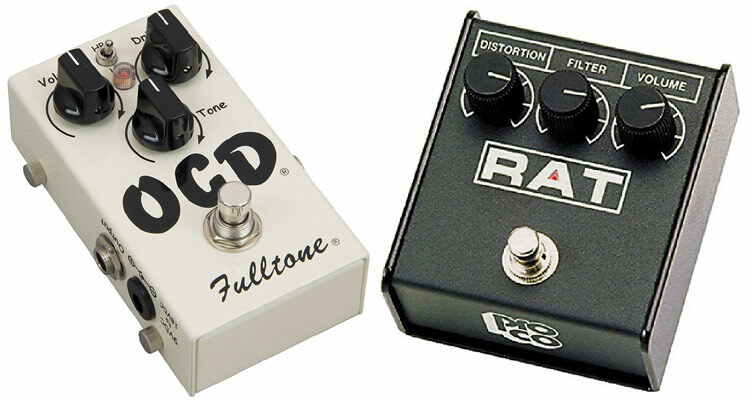 So, I would suggest to go for the following order: chorus → flanger → phase shifting. Last but not least, we have time-based effects. These bad boys sound the best when placed right at the end of your chain. Both reverb and delay split your signal and rely on repeats. Putting them after other effects will guarantee that the overall sound accentuates every layer it contains. This is probably what you are expecting from your signal chain. If you put reverb and delay before other effects, you will receive a rather artificial tone. The repeats will make everything sound worse and weird, which will ultimately ruin all your efforts. And one more thing, if you want to employ both delay and reverb in your sound, the latter should go after the former. This follows the same rule that I mentioned with modulations. It is always better to put the least aggressive effect before the intense one. As you have read through the information above, you might wonder about the fate of other pedals. What happens to the tuner, noise-gate and volume pedals? 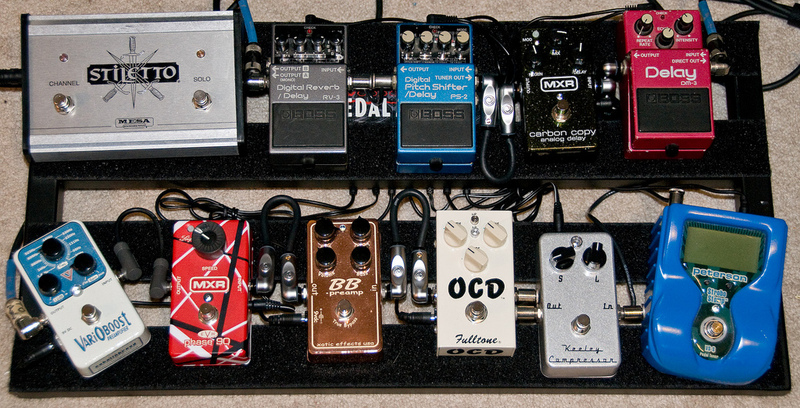 Let’s discuss each of them briefly and figure out their placement on your pedalboard. It goes without saying, that in order to receive the best sound, your instrument should always be in tune. Of course you can go for clip-on variations or use the preamp that has this function built in, but separate tuner pedal is the most convenient option. Since it relies on the pristine signal coming out of your guitar, it should be first in the chain. It will track and perform better if the sound it receives is as clean as possible. Noise-gate pedals take care of the unwanted buzz or any other noise developed by the electric setup. They are usually utilized in live or studio settings to get the most professional sound and avoid the chance of ruining the tone. Sometimes noise-gate pedals are put after the distortion, however, it is best to place them at the end of the chain (right before the time-based effects). The core function of volume pedals is to give you an additional control over your tone. They allow you to modify the level of the signal and avoid any loss in integrity. There are two equally good ways of placing them: in the beginning of your chain or right before the delay and reverb. The first scenario will allow you to alter the level of the original signal before it hits any effects (this way you can even tone down the noise). The second one takes care of the whole chain and alters the level of the overall sound, then colors it with some delay and reverb. But what if you wanted to utilize the effects loop on your amp? Would that impact the order of your pedals? Yes, this changes the setup a bit, but it is pretty easy to utilize. Before we get started, I want you to visualize one thing: the effects loop runs between preamp and power amp. This will help you understand how your pedals should be arranged in order to get the desired sound. If you want to use the overdrive or the distortion of your amp, you should run your modulation effects through the effects loop. If you were to plug them directly, modulation would be applied before distortion (we have already discussed why this does not work). So the best solution is to utilize the effects loop. This way the preamp will overdrive before your chorus (or flanger or phaser) comes into play and give you the results you were striving for. If you want some badass distortion, you can use both pedal and effects loop. This way you will add distortion to the overdriven sound, which will give you some mind-blowing results. You could also place the distortion in front of your amp to drive the preamp harder. Just keep in mind the scheme of the amp and realize how it works. This way you will know what to expect. In the end, there is no way of avoiding the experimenting process. If you just follow the rules I have listed, you might not receive the results you had wished for. Your style, your musical taste and preferences largely impact the pedal arrangement. They interfere with the concept of sound layering and basically everything I have talked about. Try out various setups and figure out what works best for you. It will take some time but I promise, you will find the perfect sound. Good luck!